Lot 67. A Roman marble portrait head of the Emperor Septimius Severus, Circa 194 A.D.
Christie’s New York, 11 December 2003, lot 232. European private collection, acquired in the 1980s. The “pre-1970″ refers to the date of an international UNESCO convention aimed at halting the looting of antiquities. As the New York Times reported: ‘In 2004 the Association of Art Museum Directors declared “member museums should not acquire” any undocumented works “that were removed after November 1970, regardless of any applicable statutes of limitation.”’ Numerous American museums – including the Metropolitan Museum of Art in New York, Boston’s Museum of Fine Art and the Getty in Los Angeles – have been forced to return looted antiquities to their host countries.” It’s a standard I believe should apply to private collectors as well as museums and other institutions. UPDATE: ARCA reports one of the items they previously highlighted, lot 22 (below), has been withdrawn from the sale. According to ARCA, Dr. Christos Tsirogiannis had matched this object to those in the archives of looted work sold by Giacomo Medici and Gianfranco Becchina. American private collection, New York, acquired from Ariadne Galleries, New York City in the late 1980s. Estimate: £3,000-5,000 ($5,000-8,300). This lot has been Withdrawn. The objects are believed to be part of hauls gathered during the 1980s and 1990s by Giacomo Medici and Gianfranco Becchina, two notorious Italian dealers. 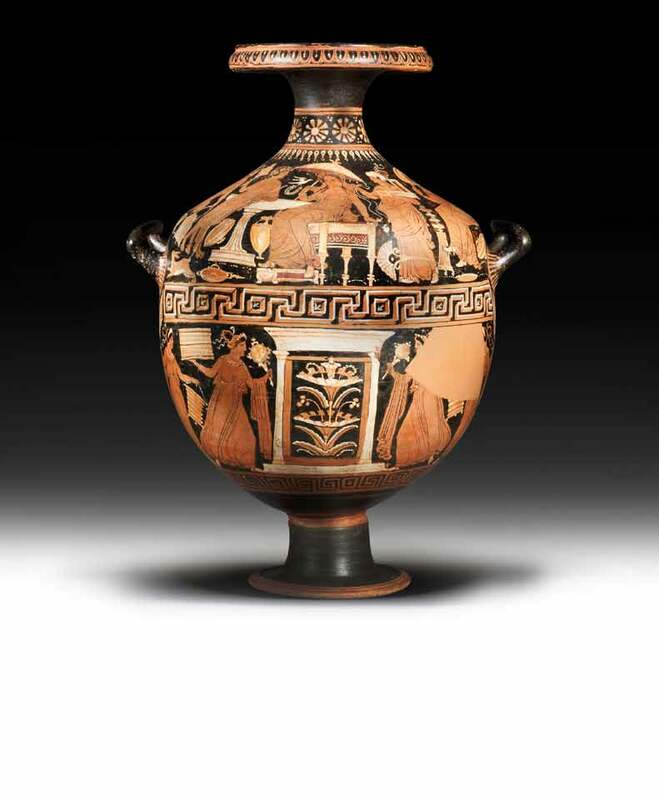 Both men have been convicted of trafficking in illicit antiquities. Medici’s archive was seized in 1995 in Geneva, and Becchina’s was seized in Basle in 2002. 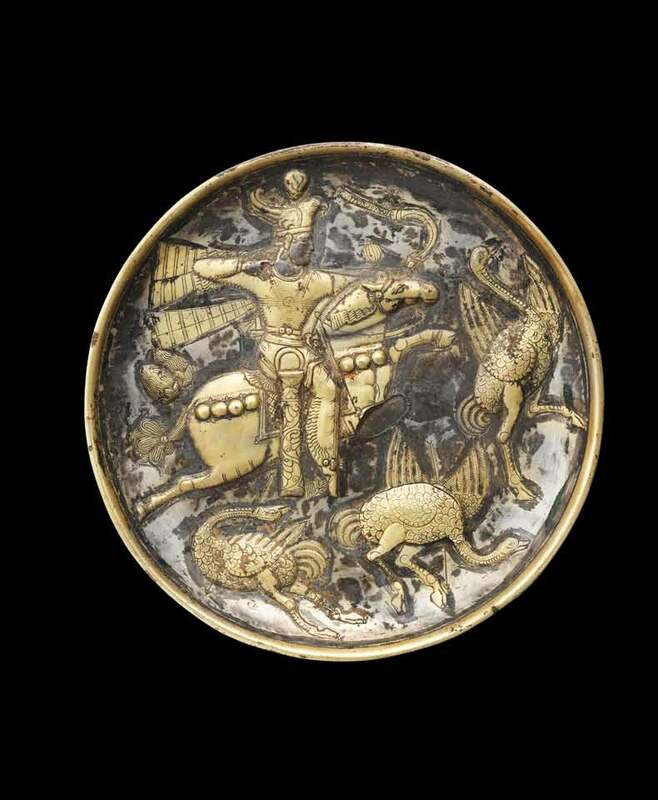 Between them, the men supplied thousands of illegally excavated and smuggled antiquities, many of which were dug up by mechanical digger, and sold at Sotheby’s throughout the 1980s and 1990s. Some of them were priceless and many still had soil on them. They passed in their thousands through London salesrooms until the traffic was exposed, partly by The Times in 1997. Sotheby’s was forced to discontinue its sales in London. Mr Tsirogiannis, who has just been awarded his PhD for a thesis on the illicit international antiquities trade, has access to two Polaroid archives of the hauls that were seized by the Italian carabinieri in Switzerland. He noticed that the two objects coming up for sale at Bonhams and Christie’s were identical to two shown in the photographs of the seized archives, in one case dirty and broken before restoration. UPDATE: A reader has indicated that another lot has come under question, a Neo-Assyrian Black Basalt Stele. • According to a recent article in Al-Akhbar (17 March 2014), a new lot at Bonhams Auction House, due to be sold on the 3rd April in London, may have been looted. The article publishes a video entitled “Stop the Theft and Sale of Antiquities in Syria”, by the Saadeh Cultural Foundation. The video is addressed to UNESCO, the Syrian Government and Bonhams. 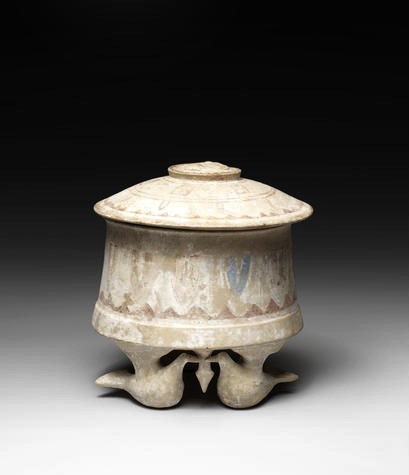 The video claims that Auction Lot 99, which is apparently from Tell Shiekh Hamad, in Haseke province, is looted, despite Bonhams claim is was excavated in the 1970s. The upper section of the stele was discovered in 1879 by Hormuzd Rassam, and is now in the British Museum. Rassam’s notes comment he was unable to fund [sic] the lower half. There is also no evidence that Layard, who also excavated the site, found it. The site was excavated by Kuhne in 1975, but his excavation records also do not mention it. Therefore, the foundation argues, it must be looted. [emphasis added]. Looting has certainly been reported at the site since at least September 2012. Lot 99. 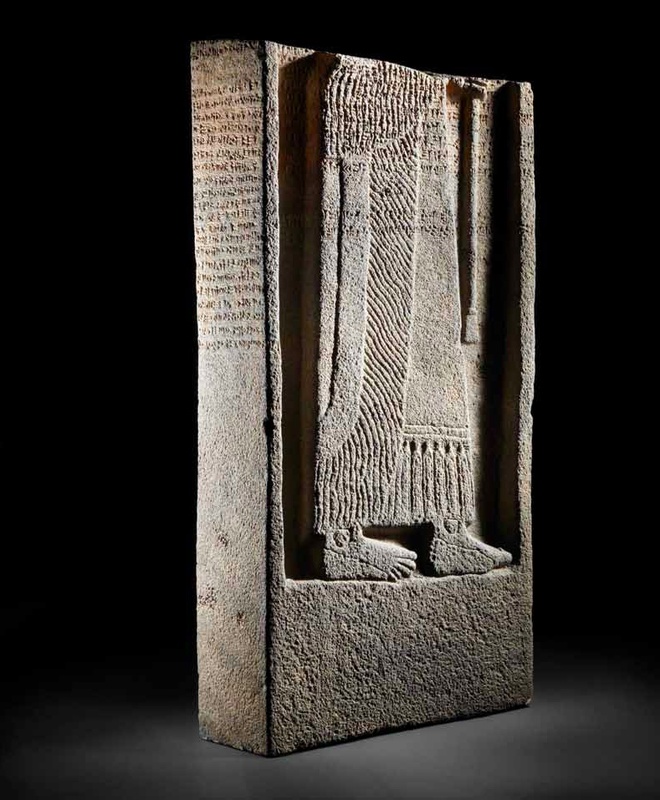 A monumental Neo-Assyrian black basalt royal stele of Adad-nerari III of Assyria, Circa 805-797 B.C. Private collection, Geneva, Switzerland, given as a gift from father to son in the 1960s. The top section of this stele fragment, now in the British Museum, was discovered in May 1879 by a close friend of Sir Austen Henry Layard, the renowned archaeologist Hormuzd Rassam (1826-1910), following reports of its existence from different Arab travellers. The round-topped section was found to have been hurled down the mound by Arabs as this effigy was considered idolatrous and the site itself was sacred to the spirit of Sheikh Hamad, to whom various cures of ailments and afflictions had been attributed. Rassam believed the remainder of the stele was buried at the top of the mound, see H. Rassam, Asshur and the Land of Nimrod, being an account of the discoveries made in the ancient ruins of Nineveh, Asshur, Sepharvaim, Calah, etc, Cininnati & New York, 1897, p.312. The top of the stele was removed with some difficulty to the coast and eventually arrived at the British Museum where it entered the Museums’ collections in 1881 (Inv. No. BM 131124; 1881,0721.1). Rassam had dug some test trenches at Tell Sheikh Hamad (ancient Dur-Katlimmu) but was unable to return to the site and continue his excavations after failing to receive the necessary permit. It was in 1978 that Hartmut Kühne directed the German excavations in Tell Sheikh Hamad but he found no evidence of the lower half the stele that Rassam had believed to be at the top of the mound. So it seems this lower stele section, forming the larger part of the monument must have been removed prior to this date and likely prior to 1975 [emphasis added] when Kühne began surveying the site. Lot 5. 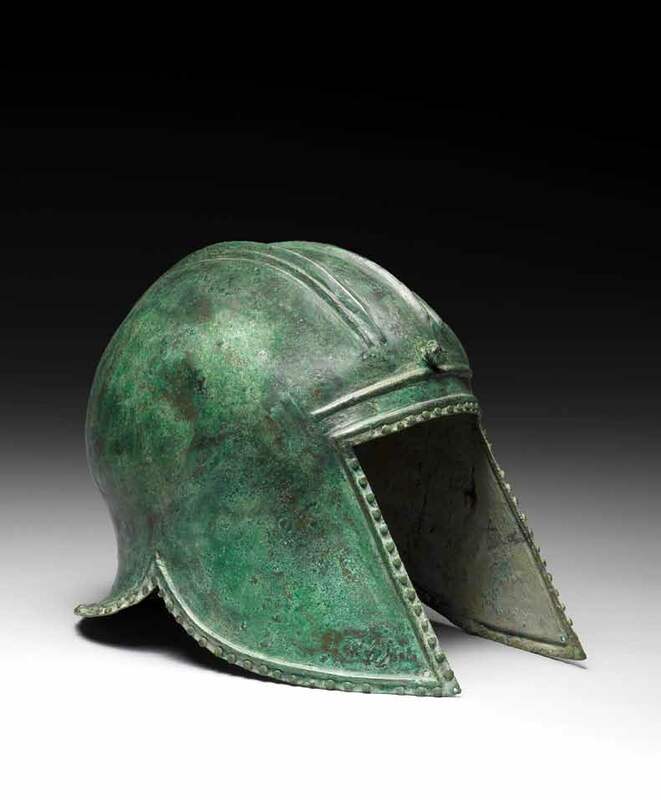 A Greek bronze Illyrian helmet, Circa 6th-5th Century B.C. English private collection, acquired in the early 1990s on the UK art market. Estimate: £10,000-15,000 ($17,000-25,000) This lot sold for £21,250 ($35,403). Private collection, Switzerland, acquired between 2002-2005. European private collection, UK and Switzerland, formed in the 1970s and 1980s. Estimate: £150,000-250,000 ($250,000-420,000) This lot sold for £182,500 (US$ 304,056). Lot 177. 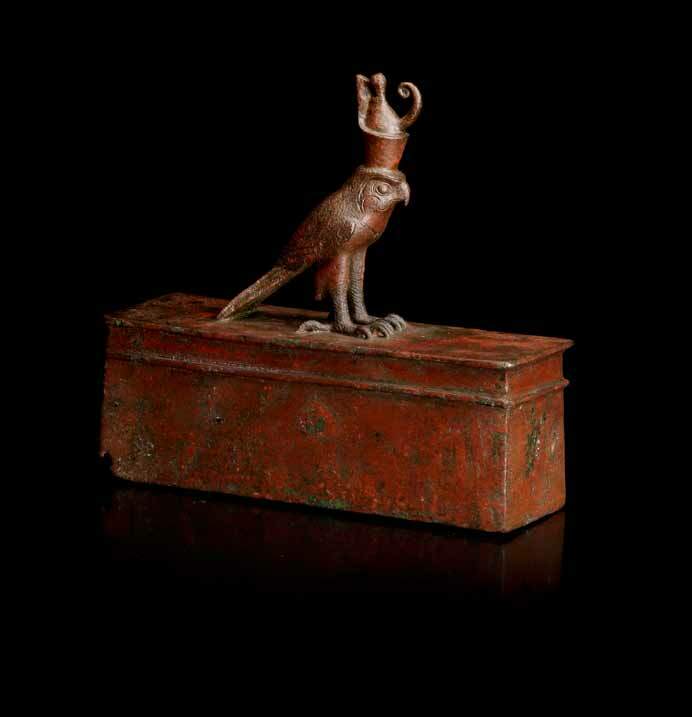 An Egyptian bronze Horus falcon sarcophagus, Late Period, circa 664-30 B.C. French private collection, Normandy, acquired in the 1970s. Estimate: £12,000-15,000 ($20,000-25,000). This lot failed to sell. Lot 19. A Greek red-figure hydra, Apulia, attributed to the Baltimore Painter, circa 320-310 B.C. V.L. Collection, Nyon, Switzerland, acquired in the 1990s. Estimate: £20,000-30,000 ($33,000-50,000). This lot failed to sell.